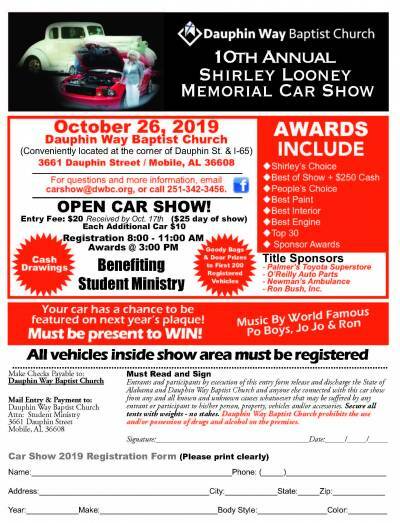 The 10th Annual "Shirley Looney Memorial" Car Show will be held at Dauphin Way Baptist Church in Mobile, AL on Saturday, October 26, 2019. We always have a large assortment of antique, new and classic cars, trucks, hot rods and rat rods. Registration opens at 8:00 am. Entry fee is $20 if received by October 17, and $25 day of show. Awards include Shirley's Choice, Best of Show PLUS $250 Cash, People's Choice, Best Paint, Best Interior, Best Engine, Top 30 and Sponsor Awards. We will also have 25 or more vendors selling unique items for the entire family! The 74 Club will be on site grilling hamburgers and hot dogs for sale. This is a FREE event open for the public to attend, and is a benefit for Youth Missions and Camp Scholarships. 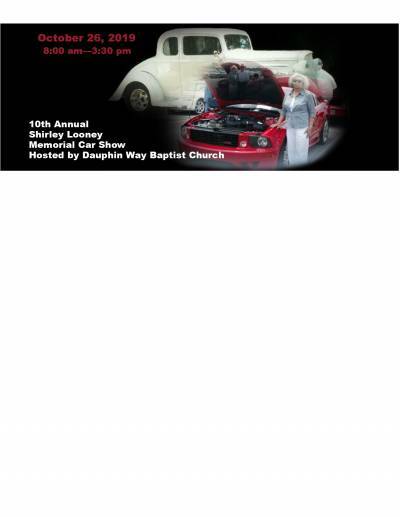 For more information, please call the Student Ministry Office at 251-445-4163 or email carshow@dwbc.org. The Amazing Acro-cats Slide into San Francisco!